Attorney Sean M. Hendricks draws upon life experience in his approach and motivation to provide superior quality and service to the firm’s clients. Prior to joining the firm in January 2010, Sean worked for a provider of expert witness services in computer forensics, with a focus on investigation, prosecution or defense of cases involving misappropriation of corporate data. During law school, he worked as a clerk in the Felony Division of the Cook County State’s Attorney’s Office, assisting in the prosecution of numerous murder and Class-X Felony Cases. Before law school, he worked for several years at both the corporate and small business levels. Sean is able to utilize his experience in a way that brings unique benefits to clients. Representing clients who have suffered injuries at the hands of others involves elements of investigation and prosecution, and often involves corporate defendants. 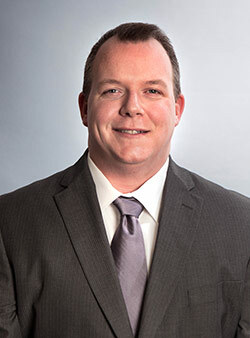 Having experience and knowledge about investigation and prosecution, combined with a real-world understanding of how corporations function, allows Sean to use those perspectives to fight for clients’ rights. Sean is licensed to practice in the State of Illinois and in the U.S. District Court for the Northern District of Illinois. He earned his law degree from The John Marshall Law School in 2009, and his Bachelor of Science degree from the University of Illinois in 2002.